I hope The Hate U Give is remembered at awards time. 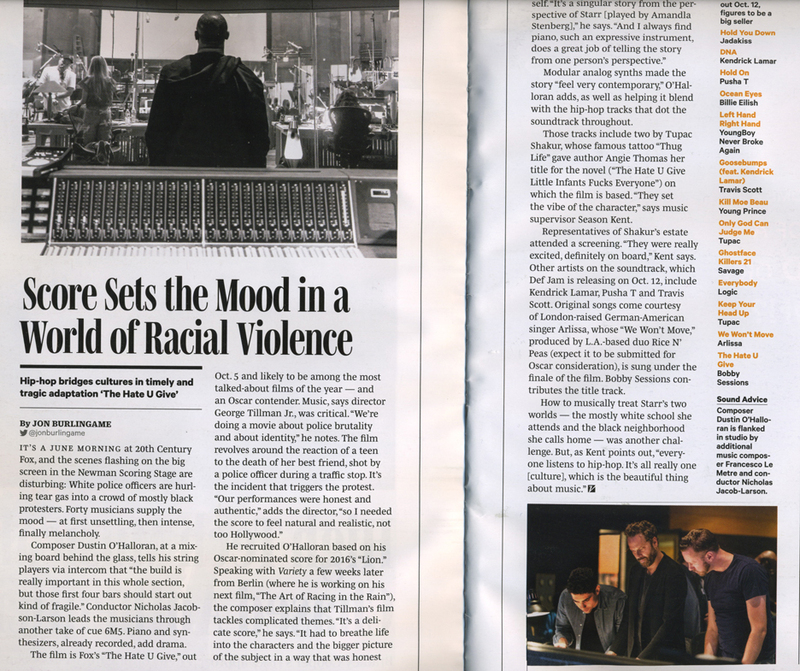 It’s a powerful and very timely film, and Variety asked me to write two stories about its music. One was about Oscar-nominated Lion composer Dustin O’Halloran’s piano, synth and strings score, which carefully and effectively augments the songs assembled by music supervisor Season Kent. The second was about the soundtrack release via Def Jam, which features new songs by rising stars Arlissa and Bobby Sessions. Interviews with the composer, songwriters, director, music supervisor, studio and label execs made this assignment especially meaningful. This entry was posted in Composers, Film Music, Interviews and tagged Arlissa, Bobby Sessions, Def Jam soundtrack, Dustin O'Halloran, Season Kent, The Hate U Give, Variety on October 4, 2018 by Jon Burlingame.